Rivers State Governor, Ezenwo Nyesom Wike, last Sunday splashed N7million on the state owned Nigeria Professional Football League (NPFL) clubside, Rivers United as part of plans to adequately motivate the club to success. Wike who was present at the Yakubu Gowon Stadium, Port Harcourt as Rivers United defeated Shooting Stars Sports Club (3SC) 2-0 in a Match Day 27 clash. 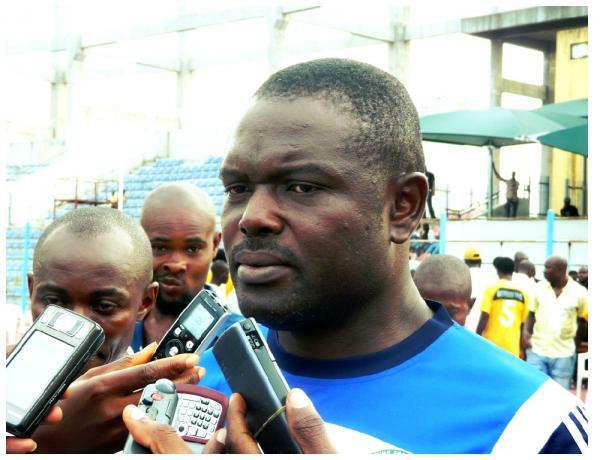 He outlined several incentives which should spur players and officials of the club as the season enters the home stretch of the NPFL. Wike also pledged a N3.5million as financial carrot each time the Rivers United earns a draw away from home in the NPFL. For an away win in any of their remaining matches in this season’s NPFL, River United stands to reap N7million. Rivers United remains very impressive this season and is still in the running for glory in both the NPFL and the Federation Cup. To ensure the possibility of a double, Wike also promised $50,00 reward if Rivers United defeats either Julius Atete FC or Enyimba International FC in the quarter final fixture of this year’s Federation Cup. The governor also revealed that a ‘special package’ awaits the football club if they reach the last four of the oldest football competition. Rivers United is currently in third place on the NPFL standings with 44 points from 26 games, two points adrift of the leaders, Enugu Rangers.